At Arne Jacobsen Watches we have a great selection of wrist watches for men. Are you looking for a classic watch, a watch with a story to tell or a fashionable writ watch? Then we definitely have the right watch for you and your taste in style. 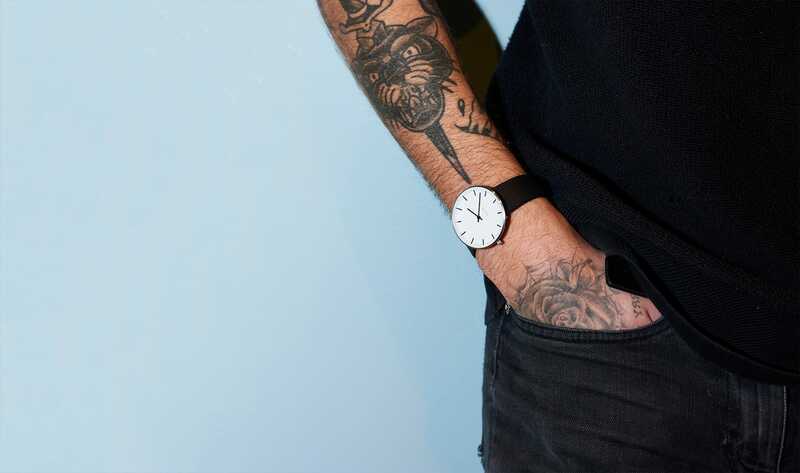 Every watch from Arne Jacobsen Watches are minimalistic, classic and suits every occasion. Buying watches for men is not necessarily the easiest task. The choices are many and you can find all kinds of watches for men in all kinds of qualities, sizes and designs. With a wrist watch from Arne Jacobsen Watches, you are guaranteed a top class designer watch, which is fit for both work, everyday activities and festive occasions. You are assured a watch of high quality in a beautiful, timeless design. On this page you get an overview of the many different watches designed by the legendary Danish designer Arne Jacobsen over the years. Your next watch can be one of these amazing beautiful and unique watches for men from Arne Jacobsen. Choose the watch that matches your personal preferences and know that you will receive a product which adds style and joy for many years to come. Arne Jacobsen's design caused a stir everywhere and the magic is that it is still does so. Good design is characterized by continuous fascination as time goes by. The clocks and watches have now been recreated entirely faithful to Arne Jacobsen's original drawings. The watches for men from Arne Jacobsen are available in four different designs; Bankers, Roman, City Hall and Station. All watches are produced from Arne Jacobsen's original designs, which were created over a long, incredibly prolific and artistically unique career as an architect and designer.